1 — Agerzam is a possible front runner but is only third top on my speed figures and quite a bit behind the other two. 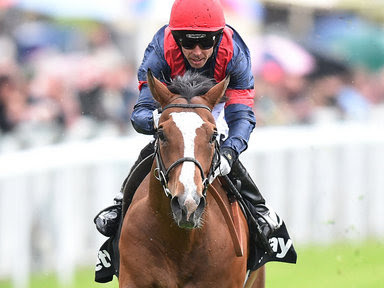 2 — Archie Stevens is the other possible front runner and is my second top rated and I think it might be the one to set the pace but I'm still not sure this is its best surface. 3 — National Service hasn't got any course and distance form on this surface and I think it might be better over further so may get outpaced here and then stay on at the finish but maybe not enough. 4 — Secret Millionaire will have to be held up here as I think its a slightly better horse over five furlongs but is still my top rated and will hopefully be able to pick them up near the finish with a sustained run at the leaders. 5 — Top Offer has only recorded slow times at this course and distance and may be a better horse over further so will perhaps struggle to be competitive early on. SUMMARY: This selling class race isn't usually something I would look at too much but its the only sprint of the day for older horses, I've got SECRET MILLIONAIRE 6/1 a few spots ahead of the second and despite it really being better over shorter trips it ought to be able to pick up the front runners in this level of race.